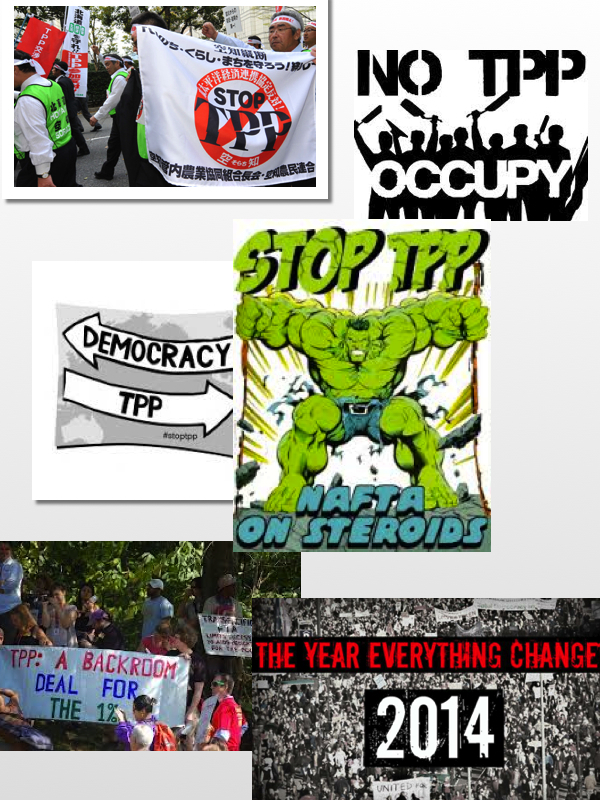 A huge number of groups and individuals are opposed to the TPP and other agreements like it for all kinds of different reasons. That’s because only a small part of these agreements deal with traditional “trade” issues like tariffs and market access. They cover regulations on everything from food labeling, labor standards, access to medicines, copyright enforcement, and cross-border investments. The problem is that the only interests that are represented at the negotiating table are corporate advisors—no public interest groups, no elected representatives, and no members of the public. That means that the rules that are in TPP are designed to give new rights and privileges to major corporations, while users, consumers, and everyone else get the worst end of the deal. Now the White House and the US Trade Representative want the power to “fast track” TPP through Congress. The US Constitution gives Congress members the sole authority to regulate trade. But a new bill that was introduced would let Congress hand their powers over to Obama and the trade office, making this whole process even less transparent and less democratic. It’s called the “Bipartisan Congressional Trade Priorities Act” (HR.3830/S.1900) or TPA 2014 for short. If passed, it would severely curb Congress’ ability to conduct hearings and limit their power to solely an up or down, Yes or No vote. Stopping this fast track bill is a major part of the fight to block the passage of TPP and other secretive trade agreements. Today, 10 days of action commence to stop this bill from passing. We’re here to share what we know about TPP, and answer your questions about why such a broad range of groups are opposed to this fast track bill. We need you to help us stop these toxic trade agreements, because mass public pressure is the most effective way to make the US government accountable.